If the spectacular landscape of Mutawintji doesn’t take your breath away, then the Aboriginal art at Mutawintji Historic Site surely will. 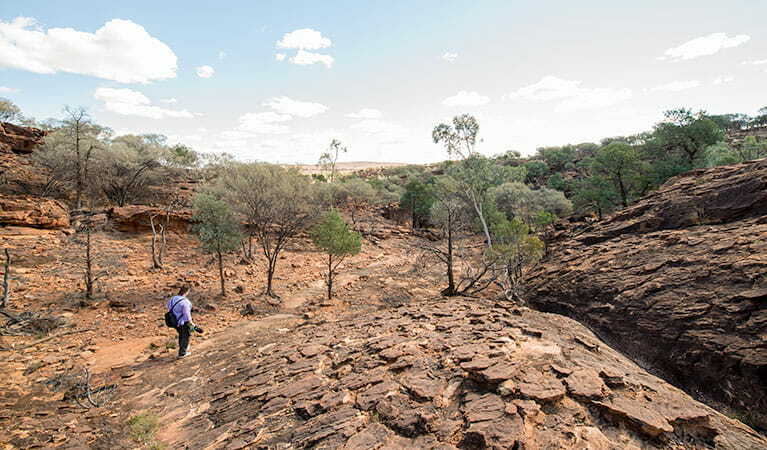 This wonderful area within Mutawintji National Park boasts one of the best collections of Aboriginal art in New South Wales. It is essential to take a guided tour to set off on a 2-4 hour walk, discovering the site’s history and culture, beginning with the audio-visual display and continuing through the ancient landscapes. 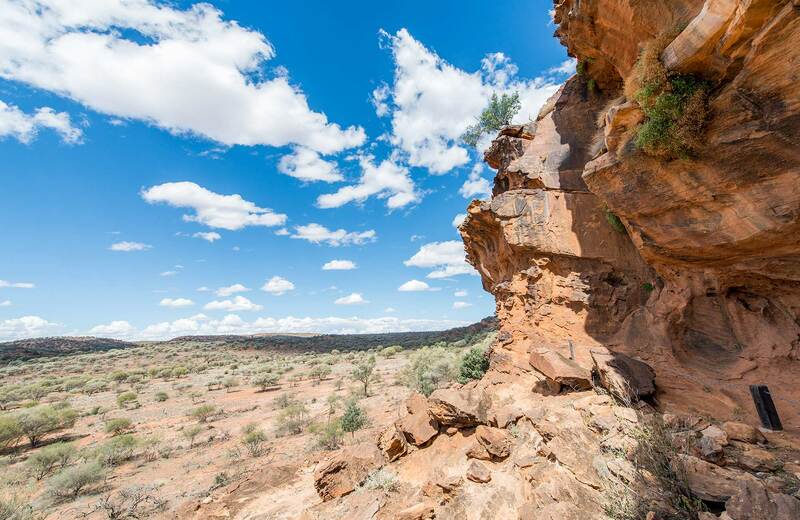 Parts of the walk up to the site are challenging, but you’ll be so busy admiring the outstanding scenery, you probably won’t notice. 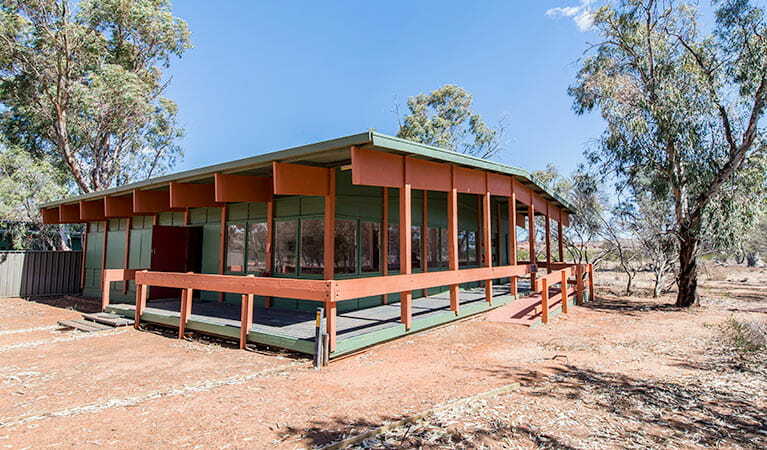 At every turn, the ancient wonders of Mutawintji reveal themselves. 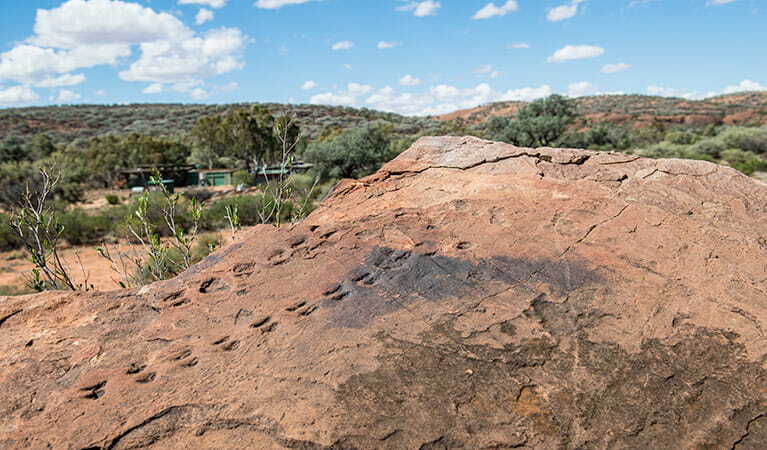 You’ll see Aboriginal rock engravings and ochre stencils, and on the flat plains, the remains of fireplaces, stone flakes and grinding stones. 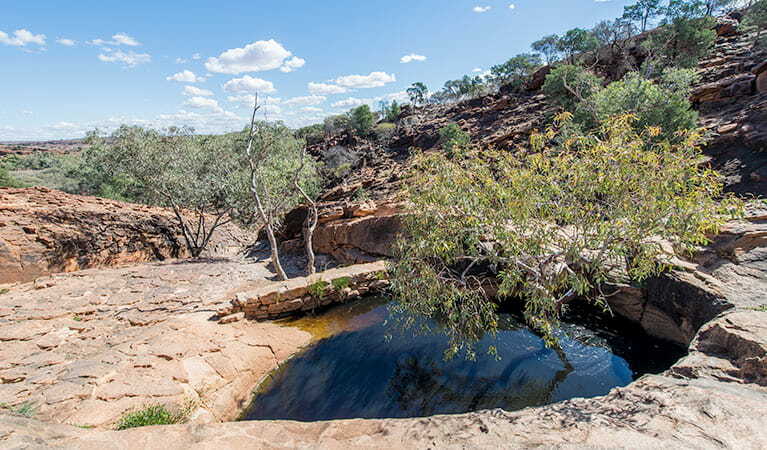 Kids and adults alike will enjoy listening to Aboriginal guides share their Dreamtime stories. 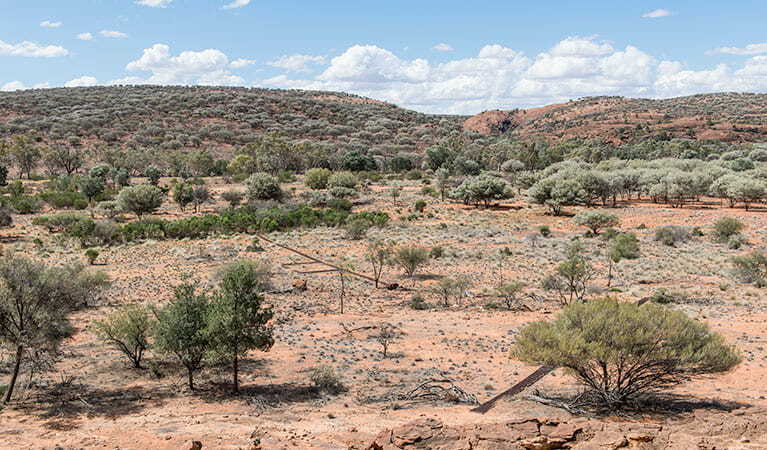 If you stay a little, or for a while, head back to your campsite at Homestead Creek campground and enjoy the serenity of the Australian outback. Savour uninterrupted sunrises and sunsets and the mesmerising brightness of the stars. 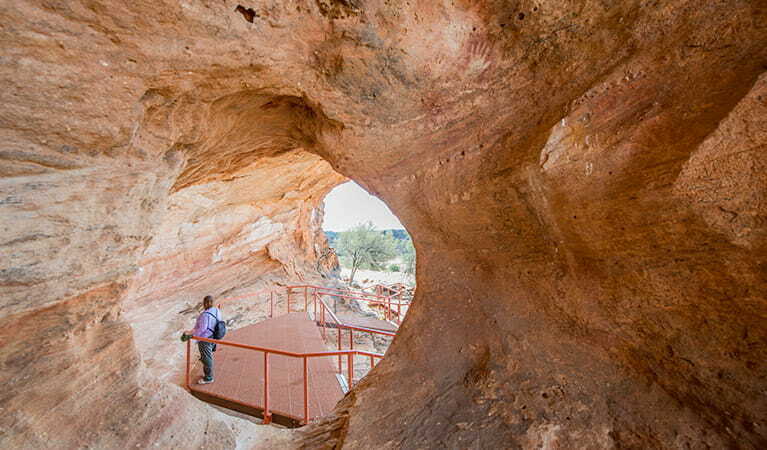 Entry to the Historic Site is with an accredited commercial tour operator only.